1) You should have received a Shipping Confirmation email from us when your order shipped. 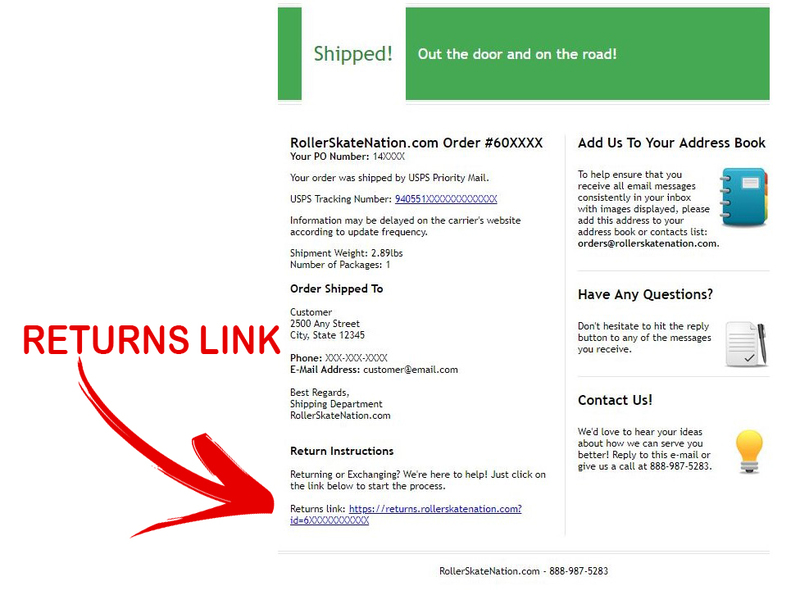 If you cannot find the email click Help or Chat With Us on the right, email us at email@rollerskatenation.com or call us at 888-987-5283 for assistance. 2) Click on the "Returns link" in the shipping confirmation email and follow the instructions to complete the return/exchange.